HMAS Warramunga at sea during an operation to sieze narcotics in the Middle East Region. Image via Commonwealth of Australia, Department of Defence. Record amounts of narcotics have been seized by HMAS Warramunga’s crew on Operation MANITOU. The latest haul, which saw the crew of the Royal Australian Navy frigate seized approximately 132 kilograms of heroin valued at almost $40 million while patrolling international waters of the Arabian Sea on 6 March 2018, has taken the value of the ships seizures to in excess of $1.47 billion*. 19.5 tonnes of hashish and more than 1.6 tonnes of heroin have been seized from the eight interdictions since December. The Commanding Officer of HMAS Warramunga, Commander Dugald Clelland, put the additional success down to hard work and dedication of Warramunga’s crew. "HMAS Warramunga’s force preparation before deployment, based on lessons from previous RAN deployments, coupled with valuable experience gained during nine previous narcotics seizures, has proven to be the basis of success in Warramanga’s recent boarding operations," CMDR Clelland said. Chief of Joint Operations Vice Admiral David Johnston said this latest interdiction highlighted the professionalism of our people and also the importance of the work being undertaken by Combined Maritime Forces (CMF). 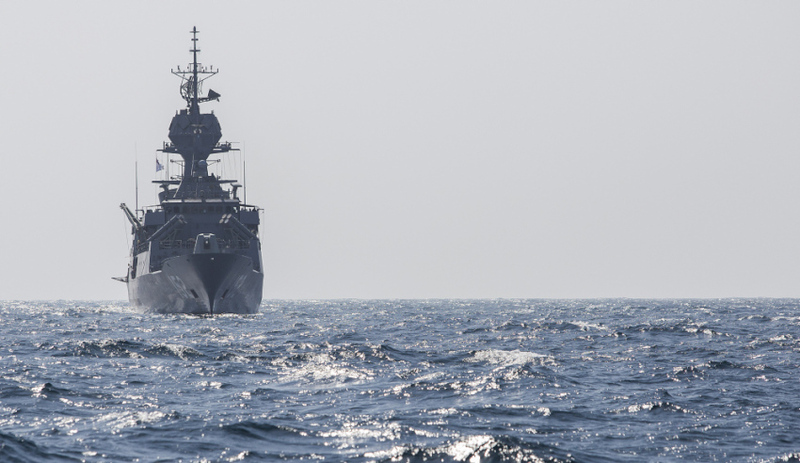 "HMAS Warramunga’s successes in the Middle East maritime region demonstrates our operations are having a significant impact on intercepting illegal drug trafficking in the maritime environment," VADM Johnston said. "Their repeated successes can also be attributed to coalition efforts at CMF and in particular Combined Task Force 150, currently under Australian command and comprised of a combined Australian-Canadian staff." The narcotics were transferred to Warramunga and disposed at sea. Operation MANITOU is the Australian government's contribution to support international efforts to promote maritime security, stability and prosperity in the Middle East Region. Combined Taskforce 150 is one of three task forces operating under CMF. Australia assumed command the Combined Task Force 150 in December 2017. *Note: This calculation is a based on the Australian Criminal Intelligence Commission Illicit Drug Data Report 2015-16 figures for cannabis resin (hashish) @ AUD$50 per gram (p215) and heroin @ AUD$300,000 per kilogram (p216).